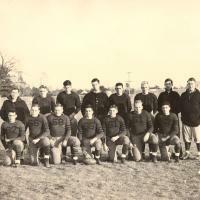 A black and white photo of the Maynard High School Football Team, dated 1936 on the football. Donated by Susan Dee of Concord, Mass, and Nancy Sealey of Maynard. 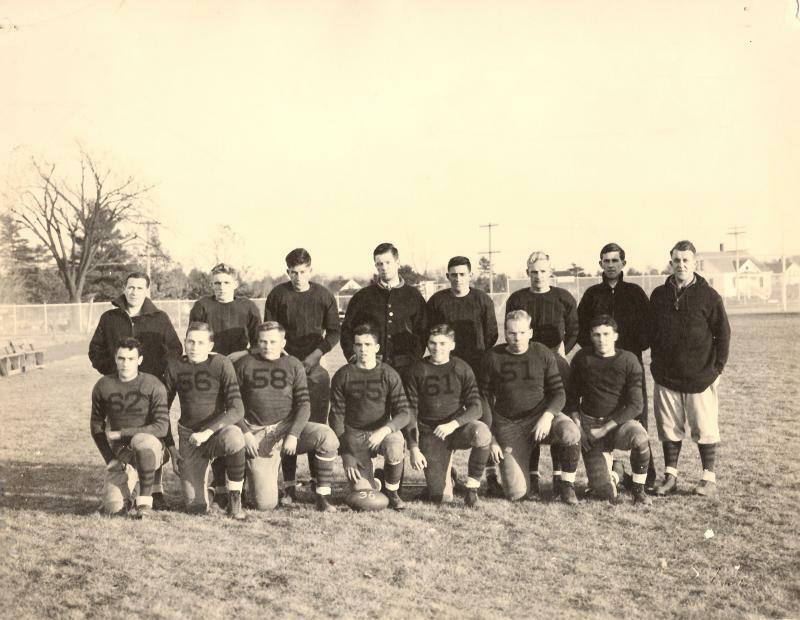 Sargent Studio, “Maynard High School Football Team - 1936,” Maynard Historical Society Archives, accessed April 23, 2019, http://collection.maynardhistory.org/items/show/6032.